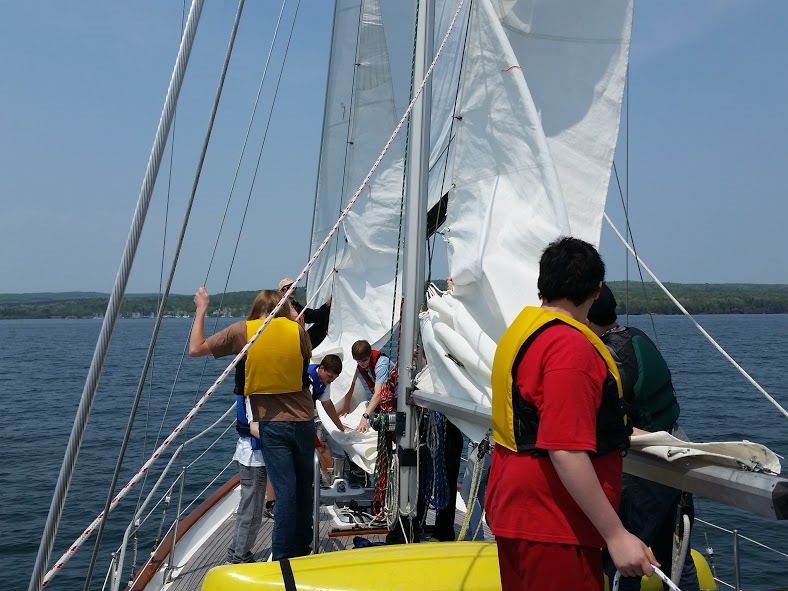 Sailing the Abbey Road, and partnering with the local Sea Scout Ship, we offer programs to local youth that teach seamanship, personal responsibility, teamwork and self esteem, while building skills in leadership and citizenship. 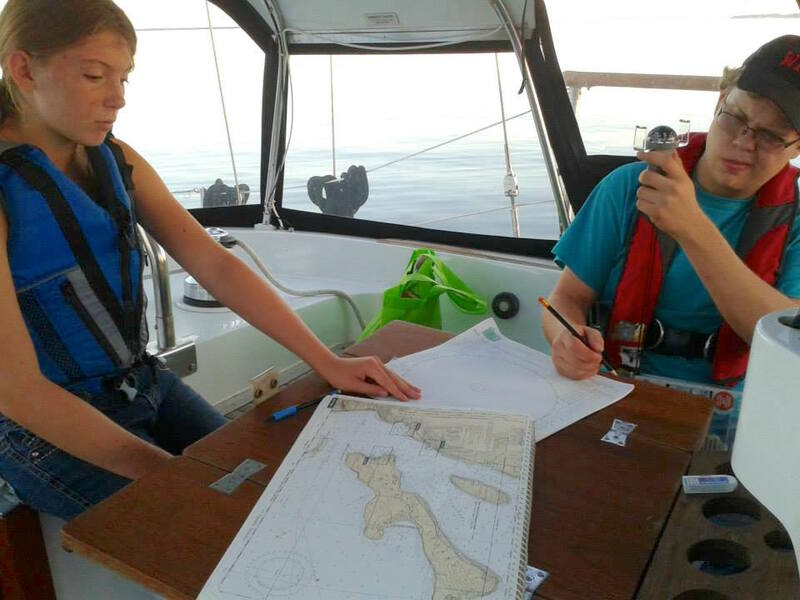 Working year round with the Sea Scouts, we educate and develop local youth to serve as our key crew for day sails, public sails, charters, group tours, and port visits. We welcome all types of school or youth groups to come sailing on the Abbey Road. We provide a unique and exciting adventure where young people can safely test and push their limits, helping them to realize their full potential and expand their horizons. We will work with you to organize a day sail, overnight, or a multi-day excursion centered on the mission and goals for your group. We can arrange educational excursions and educational programs for all ages. We work with your group to create an excursion and/or educational program to fit your needs. To help educate our youth and others about Lake Superior, we actively seek out partnerships with environmental educators and researchers. We provide a stable platform from which you can perform experiments and gather data, so that you can provide us with a better understanding of this great lake. We also enjoy working with local museums and heritage groups to develop interpretive scripts, display artifacts and create living history events for all our guests. I enjoyed looking at the islands and standing at the front of the boat. Steering was hard. My favorite part was hanging out on the deck and standing on the front of the boat. But the whole day was really fun. It was fun to go on the very front of the boat, the bow. It was fun to go on the very front of the boat, the bow. The beds inside were cool. Steering was fun. Fun to see the whole experience of sailing! I really liked lying down on the deck of the Abbey Road in the sun and dodging the mast as it went over head. My second favorite thing was standing on the very front of the boat and looking at Madeline Island or Bayfield. My third favorite thing was hanging out with my friends on deck or in the hull of the boat. I liked steering but I wasn’t too great at it. The sailing trip was really fun, I hope I can do it again soon! The sailing trip was really fun, I hope I can do it again soon! I know that I might be able to go again but at the same time it was a once in a lifetime opportunity and I will never get the chance to do that again. When I say once in a lifetime opportunity, it means every single moment in life is once in a lifetime because that thing that just happened will never happen again, and even if it does happen it would never be the same, and you will always remember the first time you did something as if it were yesterday. I had an outstanding experience on the Abbey Road. I had an outstanding experience on the Abbey Road. It was really cool to be on a big sailboat. I loved seeing the cabin and I also loved standing at the bow of the ship. It was cool to see how everything worked. I really liked sailing on the boat. I really liked sailing on the boat. My favorite part was when I stood on the end of the boat, I could feel the wind going through my hair. Going on a sailboat was a completely new experience for me. The water looked really pretty. Sailing was generally calm and peaceful. Sailing was a very good experience that I was glad to have. I would recommend to anybody.